Teach For America has an average acceptance rate of less than 15%, the majority of the applicants from Ivy league schools…tough odds for the majority of young people. The good news is there are plenty of other ways to work to address the education disparity in this country and even in other parts of the world. Some of these programs are service years, other are designed for people who want to become teachers for a longer period of time. If you would like help exploring these opportunities or completing the applications, sign up for an NGS mentor here. “City Year’s mission is to build democracy through citizen service, civic leadership and social entrepreneurship. It is through service that we can demonstrate the power and idealism of young people, engage citizens to benefit the common good, and develop young leaders of the next generation. As a WorldTeach volunteer, you will witness firsthand the challenges and rewards of education in a developing country. You will share the skills and knowledge gained through your education and life experience with your students, and you will make a lasting difference in their lives, opening their eyes to a world beyond their classrooms. You will gain cultural understanding and the ability to work independently in a new and often challenging environment. You will develop key skills– including teaching, language, cross-cultural communication, and leadership– that will be useful in any career path. The AmeriCorps Teaching Fellowship at Citizen Schools gives leaders real teaching and non-profit experience, while engaging them deeply in communities and schools. Two years of service helps to build the school of the future. Build relationships with a team of middle-school students. Learn how to make lessons engage the toughest classrooms. Analyze student progress in academics and help teachers provide targeted support. The 2014-2015 CORPS will include 42 full-time staff members working with approximately 15 CoaH students each day. There will be 19 CORPS members at CoaH I with grades 9-12 (on Circuit Street in Roxbury), 14 CORPS members at CoaH II with grades 9-10 (on Washington Street in Roxbury) and 9 CORPS members at the New Bedford school, which will only have a 9th grade. CoaHCORPS members deliver individualized instruction in literacy and numeracy. The CORPS seeks to meet students at their entering achievement levels and advance them past grade level. The Japan Exchange and Teaching (JET) Programme, now in its 27th year, is aimed at promoting grass-roots international exchange between Japan and other nations. The number of countries sending participants has risen over the years, as has the number of participants. In 2013, the Programme welcomed 4,372 participants from 40 countries. No matter where you go in Japan today, you will find JET participants developing strong relationships with their local communities through foreign language education and international exchange activities. After completing their time on the Programme, many former JET participants use their experiences in Japan to continue enhancing relations between Japan and their home countries. Boston Teacher Residency (BTR) recruits talented college graduates, career changers and community members of all ages and gives them the tools to make an immediate impact in the classrooms of the Boston Public Schools (BPS). Combining a yearlong classroom apprenticeship with targeted master’s-level coursework, the program offers much more than just an affordable route into teaching. BTR provides every Resident with the practical learning, hands-on experience and ongoing support essential to any successful career in teaching. Download the program flyer. In the first year, residents are trained in Boston. During the year, they participate in our Match Corps tutoring program Monday through Thursday and receive MTR training on Fridays and Saturdays. For more information on the Match Corps component of the program, click here. The intense Friday/Saturday MTR training sessions are a mix of graduate school classes, simulations, and ultimately student teaching. In the spring, we help our residents find teaching positions in the nation’s top urban charter and turnaround schools. School leaders covet Match Teacher Residents; many folks get multiple job offers. This first year culminates in residents receiving a Massachusetts teaching license. At this point, 80% of the MTR experience – and the work towards earning a Master’s Degree in Effective Teaching – is complete. During the second year, residents have left Match Teacher Residency. They have full-time teaching jobs elsewhere. However, they continue to participate in MTR in two ways: First, we provide ongoing support and coaching to residents who take teaching jobs in the Boston area. Second, residents take a yearlong distance-learning course that is closely connected to their work as full-time teachers. Ultimately MTR evaluates each resident’s performance as a first year teacher to determine if they earn the Master’s in Effective Teaching. Our mission is to recruit and prepare high-quality, dedicated individuals to become teachers who raise student achievement in the New York City classrooms that need them most. We value individuals from a broad range of personal and professional backgrounds who are passionate about making a lasting impact in New York City public schools. 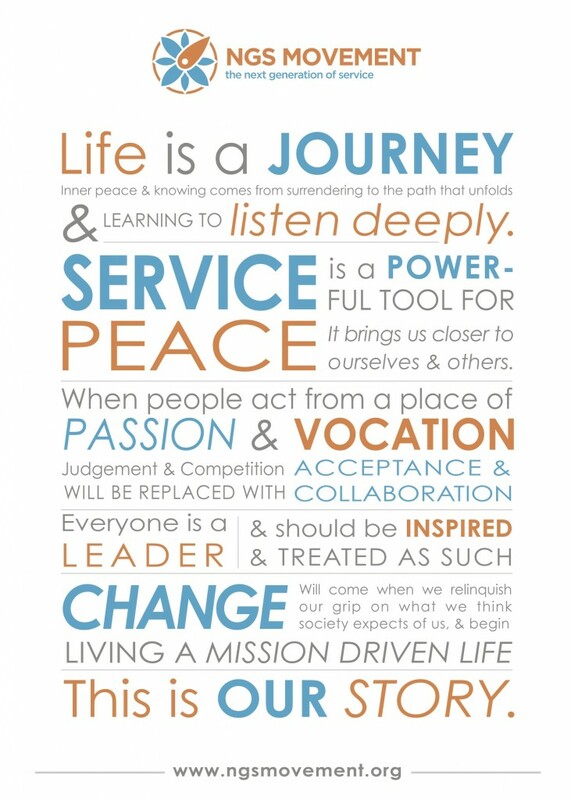 Learn more about our mission and values. In New York City, almost 4 in 10 New York City public school students do not earn a diploma within four years, and black, Latino, and low-income students in New York City score, on average, several grade levels below their peers on standardized tests. We know that when students in high-poverty areas have equal access to the resources available to their more affluent peers they are able to achieve at high levels, and we know that effective teachers are the most influential factor in determining student success. Fellows are committed to ensuring that all students in New York City receive an excellent education—and they are making a dramatic difference. Learn more about why teachers matter in New York City. Inner-City Teaching Corps (ICTC) energizes urban classrooms with tomorrow’s high-impact leaders today by recruiting top recent college graduates and accomplished career changers into urban education. In collaboration with Northwestern University’s nationally ranked School of Education and Social Policy, ICTC develops beginning teachers through a rigorous academic curriculum, expert coaching, and opportunities for collaboration with other educators to develop the skills needed to be leaders within their schools. The path to educational leadership begins with outstanding, results-focused teaching. Focusing on qualities and skills that comprise The Alain Locke Initiative Leadership Framework, corps members provide the high-quality instruction that energizes schools and closes the achievement gap, opening opportunities for all students to achieve regardless of income level. Operating in more than a dozen U.S. cities, TNTP’s Teaching Fellows programs hold the highest standards for effective teaching of any teacher preparation program in America. Each of TNTP’s programs trains teachers to meet district needs in key subjects, such as math, science and Special Education. Click the logos below to visit each program’s website. Thanks Jared, we will check them out, did you participate in the program? Also, look into the Alliance for Catholic Education. http://ace.nd.edu/teach/! !